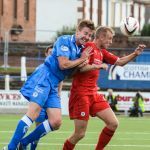 An early goal from Greig Spence was the difference as Raith held on against a spirited Queen of the South at a sunny Palmerston. Despite Queens creating several good chances and attacking briskly on their home plastic pitch, Raith took all three points to move joint-second in the Championship following an entertaining and open 90 minutes. Raith worked hard for their victory, created their own chances, defended in numbers, and enjoyed two excellent performances from front-men Spence and Elliot. 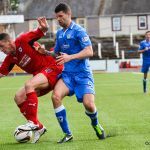 Although Queens will regret missing a number of opportunities when enjoying a second-half ascendancy, they were let down by defender Durnan, dismissed for a petulant boot at Elliot at a time when his team were on top in the second half. 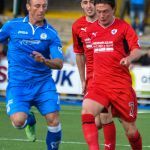 With the season still young and the table still crowded, today’s game was a key test of Grant Murray’s early-season mettle – Dougie Hill returned after suspension, and Spence was restored following his winner as substitute in last week’s Ramsden’s Cup win over Falkirk. 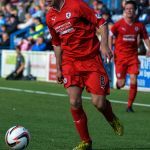 Joe Cardle started, playing against the manager with whom he won the First Division title with Dunfermline in 2010/11, and on the other flank Grant Anderson continued his good run of form. 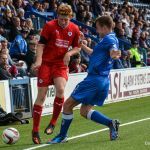 Queens were looking to start a busy three weeks with a positive home performance. The next two weeks see Cup fixtures against Rangers and Hearts. 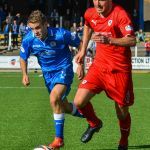 Having scored six goals in their opening two games, Queens were looking to break a two-game scoreless run and energise the Palmerston crowd after a dour 0-0 draw against Alloa previously. Both sides started brightly, with Queens’ more direct passing on the bouncy surface proving more effective early on. 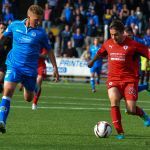 McGurn punched away a good cross from Queens’ full-back Mitchell, and front-runner Lyle looked troublesome, catching Hill and Watson on their heels in the first ten minutes. A Mitchell flick let former Livingston front-man Russell through the inside-left channel, but having over-run possession the result was only a meek cross thumped clear by Watson, much to the delight of a vocal travelling support. On 17 minutes, Raith led. Fox looked up from central midfield, and offered a beautiful cross-field invitation perfectly into Grant Anderson’s stride. 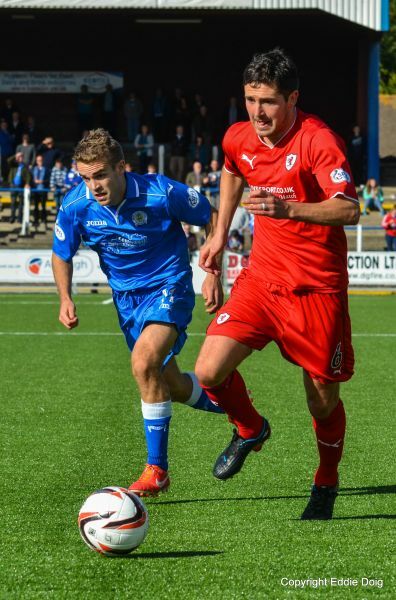 With Queens’ full-back Higgins caught flat-footed, Anderson placed a weighted centre into Spence’s path. 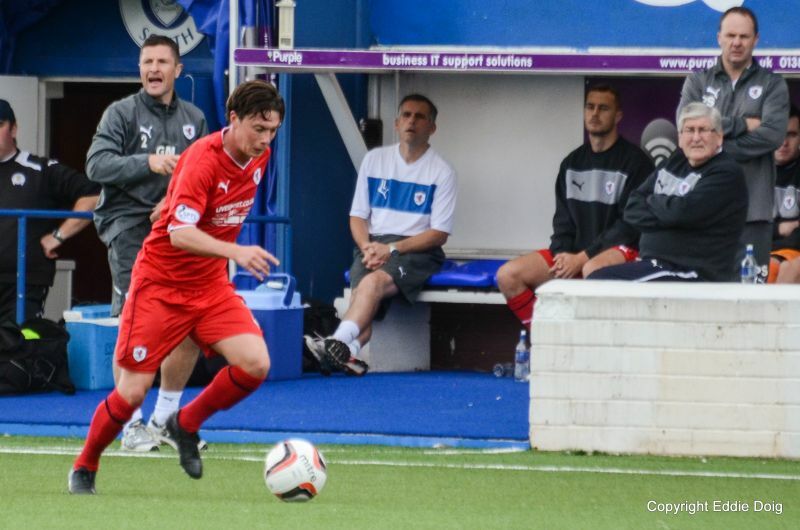 With five goals this season already, Spence couldn’t believe his luck. Grant Anderson cross finds Spencey free in the box to score. 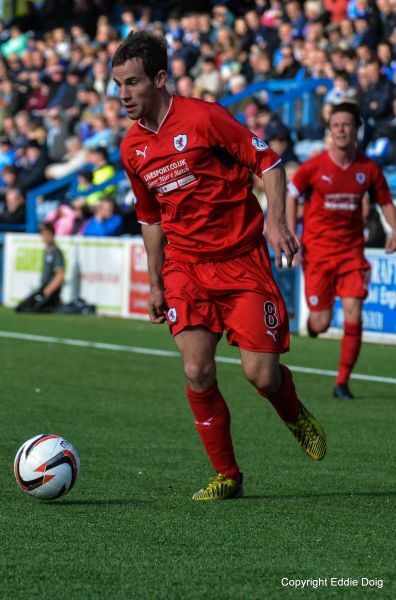 The goal sent a degree of confidence through the Raith midfield. Fox and Moon swept up several loose passes in midfield, and wide-men Cardle and Anderson tricked and twisted their opposite numbers. Anderson embarrassed Higgins again with a cheeky nutmeg on half-way; the Doomhamers’ full-back grumpily barging his man to the floor. 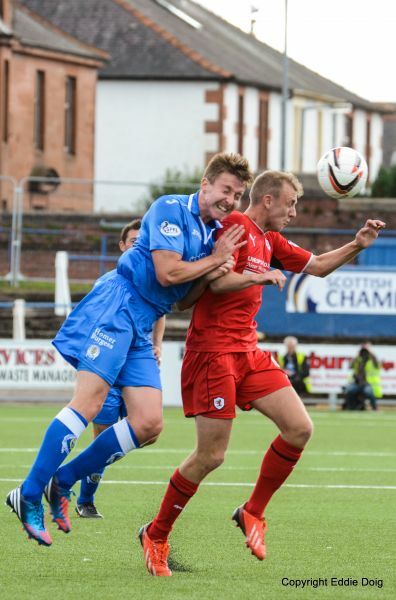 Notwithstanding Raith’s better possession, Queens were a force under the high ball. Lyle forced a reflex save from McGurn with a powerful header from the first of a number of first-half corners; Durnan drawing an even better save moments later. 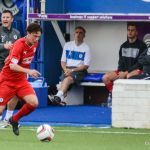 With Queens enjoying greater and better-quality possession as the first-half wore on, Spence and Elliot worked hard, running channels to give options for longer passes, or dropping short to add numbers to the midfield. 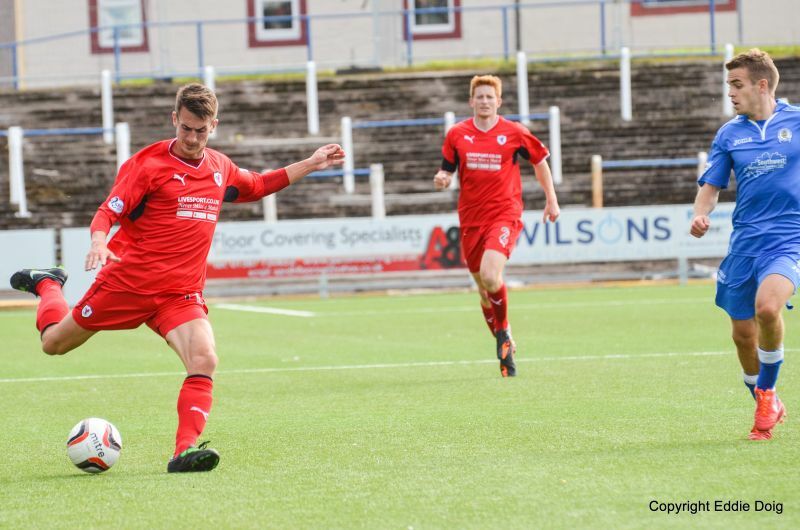 Elliot particularly contributed to Raith’s defensive security, holding the ball to allow breathing space for colleagues, and using his 6’0” frame to provide a target for defensive clearances. 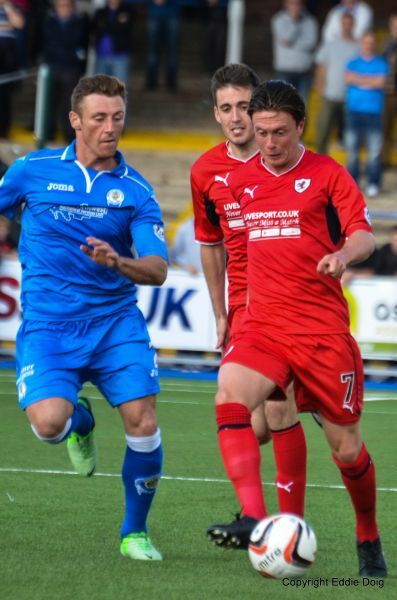 After a slow start in pre-season, Raith look now have a settled strike partnership. 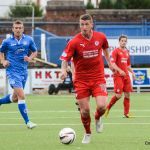 On the half-hour, following a busy spell around the Raith penalty area, Elliot appeared three times in a Raith move which started with a prompt McGurn thow-out. Cardle’s rising drive just cleared Antel’s cross-bar. 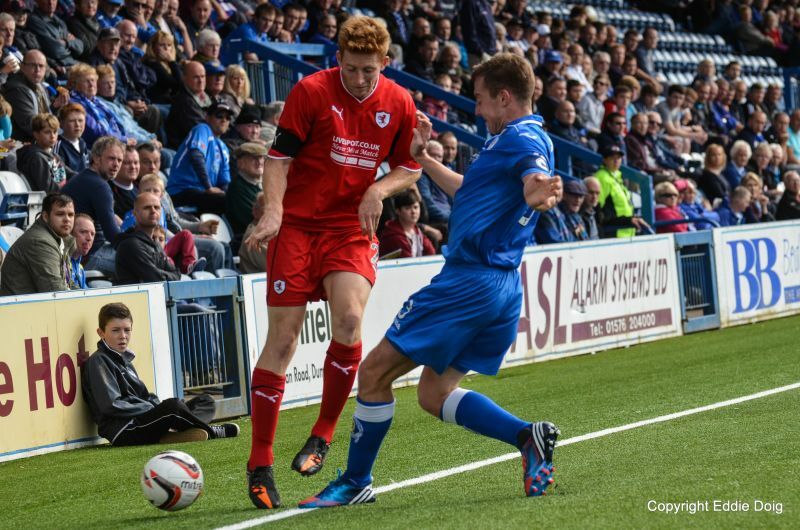 The final acts of the first half were played out largely in Raith territory. 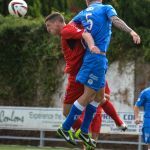 Queens pushed and probed, and were unlucky not to equalise. 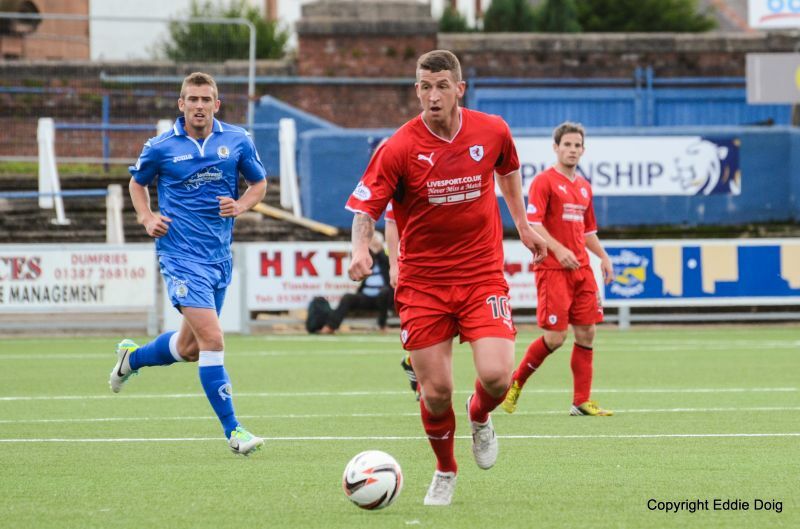 Young was allowed time to fire a shot over McGurn’s goal, and Carmichael’s deflected drive looped over for a corner. 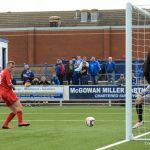 The clearest opportunity fell to centre-half Durnan – his thumping header hoofed off his own line by Anderson with McGurn beaten. 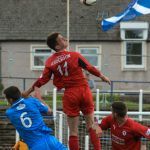 While Murray must have been pleased at his team’s resilience, he must also take credit for instilling a fast-attacking mentality in his players when the opportunity arises – following a Queens’ corner, Anderson raced 50 yards and crossed. A two-goal deficit would have been unfair on the home side, however Spence will think of his weak header as a chance missed. With the slight breeze at their back in the second period, after the interval Raith began on the front foot. Cardle surged down the left, exchanging a wall-pass with Elliot before firing across goal; left-back Booth burst beyond the midfield after Cardle scrapped for possession in midfield; and a devilish in-swinging Cardle cross just evaded Spence at Antel’s far post. 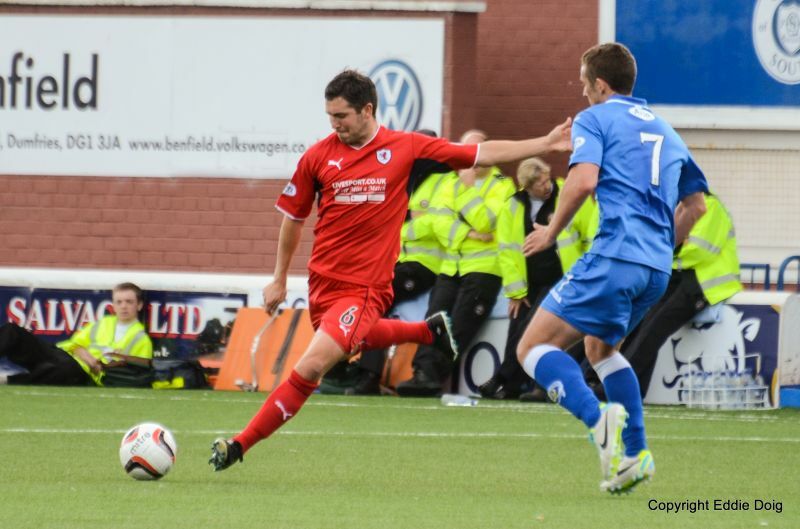 pick their passes in the final third, Raith unable to stem the attacking surges at source. 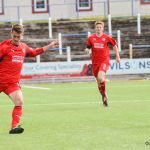 Home manager Jim McIntyre shuffled his strike-force again with twenty minutes to go – late sub Paton and Carmichael were pinned to either flank, and Reilly and Lyle bound closely together at the head of a 4-2-4. 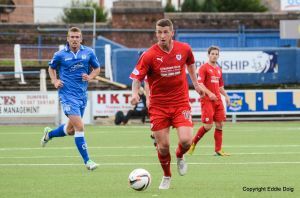 Midfield substitute Dzierzawski rasped a drive toward McGurn as the home side continued to press but failed to breach a stout Raith rearguard. 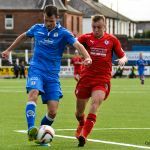 Unfortunately for Queens’ enterprising front quartet, the match fell further out of reach in the 78th minute with Durnan’s straight red-card. 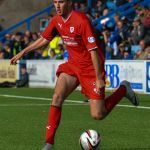 Elliot barged his way past the defender’s first challenge, and with the referee first playing advantage and then whistling for a foul on the Raith striker, Durnan’s frustrated hack drew a straight red-card. Referee Robertson deserves credit for quickly dealing with a potential flash-point – first calming onrushing Raith midfielders before giving Durnan his marching orders. The final moments saw half-chances at both ends – late cameo Lewis Vaughan chipped weakly with Elliot in space to the young striker’s right, whilst McKenna and Carmichael combined well for Reilly to head a difficult chance straight at a grateful McGurn. 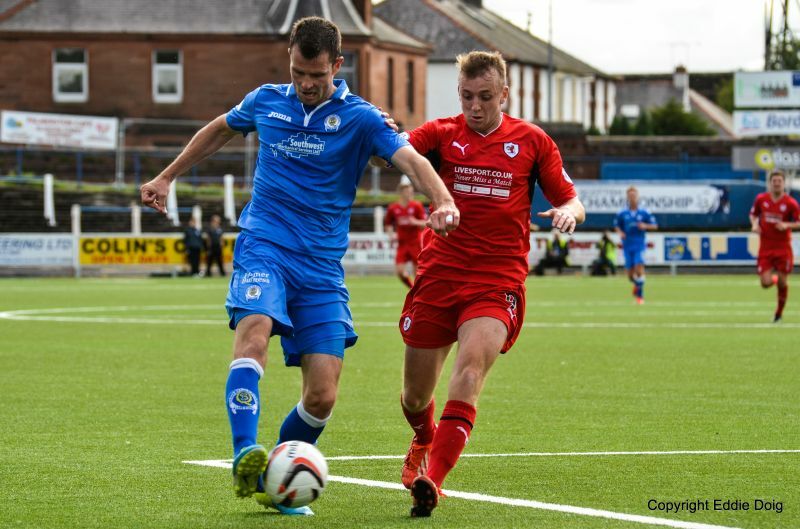 Queens will consider themselves unlucky to take nothing from the game. However, with the nights closing in and the long winter campaign ahead, Raith will look back on today’s endeavours as an excellent three points. Against a side who scored freely in their opening two games, and with the vagaries of the plastic pitch, today’s victory will look better and better as the season progresses. Welcome to sunny Palmerston Park, it's shirt sleeve weather, hopefully the conditions will provide a great match. McGurn the first keeper to touch the ball, punches clear a long free kick. McGurn scoops up another long range attempt. Lyle crosses to Russell, Hill intercepted for a corner. 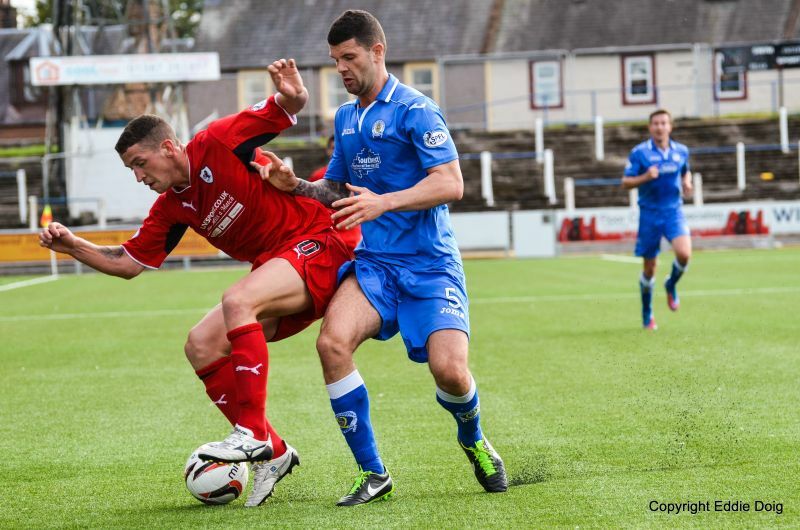 Spence gets a cuddle from Durnan, ref plays on. Raith Rovers first corner is easily cleared. QotS having the better of the possession. Russell clear through into the box spends too much time on the ball and squandered a good opportunity. Fox crosses the ball to Anderson whose volley found Spence clear to slot past Antell. GOAL ROVERS. 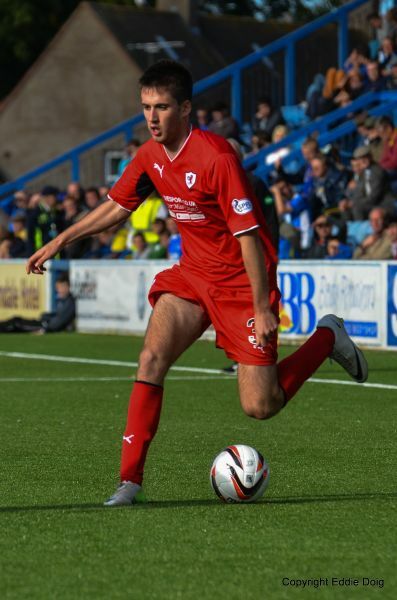 Raith's first attempt at goal bears fruit. 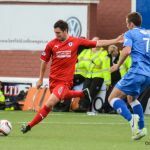 McGurn has to be lively to parry a header from Lyle. 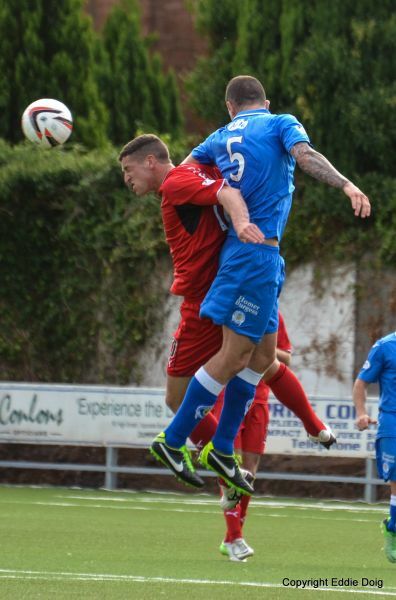 McGurn in action again, this time jumping to steal the ball from the head of Lyle. Lyle heads across the goal to Higgins who headed goalwards only to be thwarted by the witch. Derek Young has a go from range, alas accuracy is not his forte. 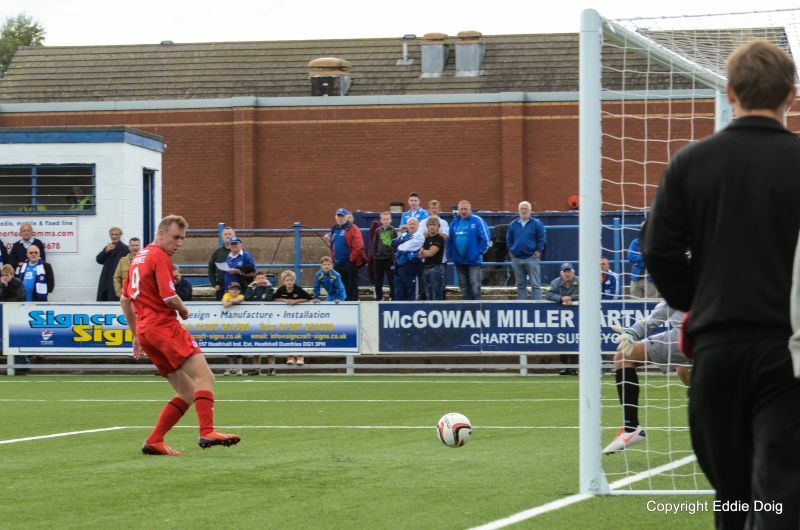 McGurn tips a lobbed shot over for a corner. Anderson runs down the right and with three players to choose from he picked Spence but his header lacked pace and the ball ran out of play. 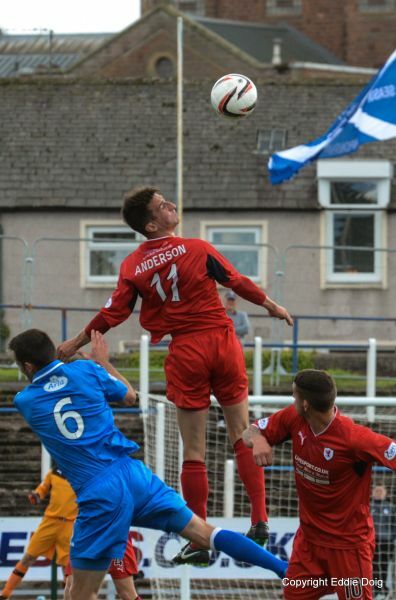 Durnan turns his header past the post from a corner. McKenna and Mitchell combine passes that should have split the Rovers defence however the move turns into farce as the final ball goes out for a throw. Watson goes clear in the box, alas the flighted pass is too high. Rovers starting out lively this half. 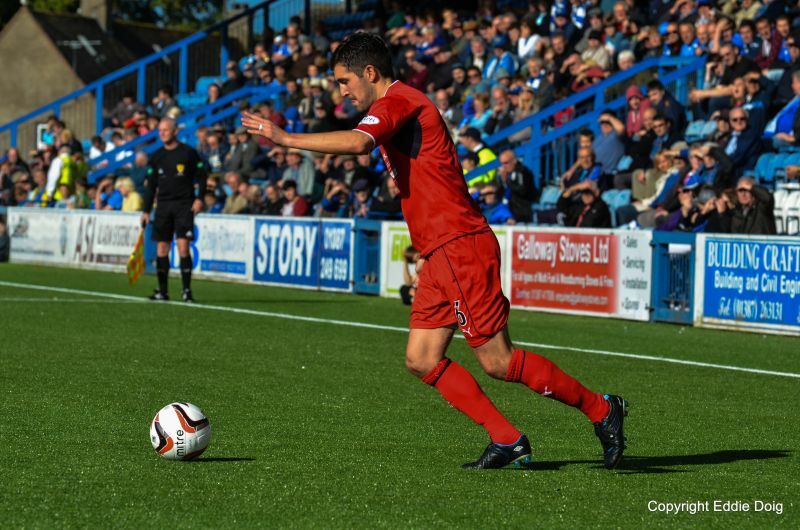 Spence from six yards stretches to make contact with a lively pass only to tap the ball wide. Anderson gets up, play resumes. Reilly only just on, heads high over the bar from a Higgins cross. The appearance of Reilly seems to have sparked Queens into life. Lyle in the six yard box fires in from an angle, McGurn saved comfortably. Young off, Dzierzawski on. Spence off, Smith on. Elliot and Anderson combine, the latter can only fire across the face of goal. Queens converting from 4 4 2 to 4 2 4 is causing Raith problems. Smith is down despite getting attention for an earlier knock. Elliot tries from close range, the ball going a yard wide. Durnan, straight red for hacking down Elliot. Reilly heads high over the bar from six yards. 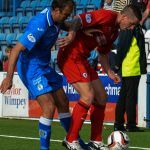 Smith succumbs to his injury and is replaced by Vaughan. Thomson with high pass to Elliot in the box could only watch as Angell plucked the ball from air. Vaughan fires straight at Angell who clears the danger. 10 man Queens still not letting go of the match. McGuffie yellow for bringing down Vaughan. Antell, Mitchell, Higgins, McGuffie, Durnan, Dowie, McKenna, Young, Lyle, Russell, Carmichael. Subs, Atkinson, Paton, Reilly, Dzierzawski, McShane, Holt, Orsi. McGurn, Thomson, Booth, Watson, Hill, Fox, Cardle, Moon, Spence, Elliot, Anderson. Subs, Callachan, Donaldson, Smith, Ellis, Vaughan, Matthews, Roberts. 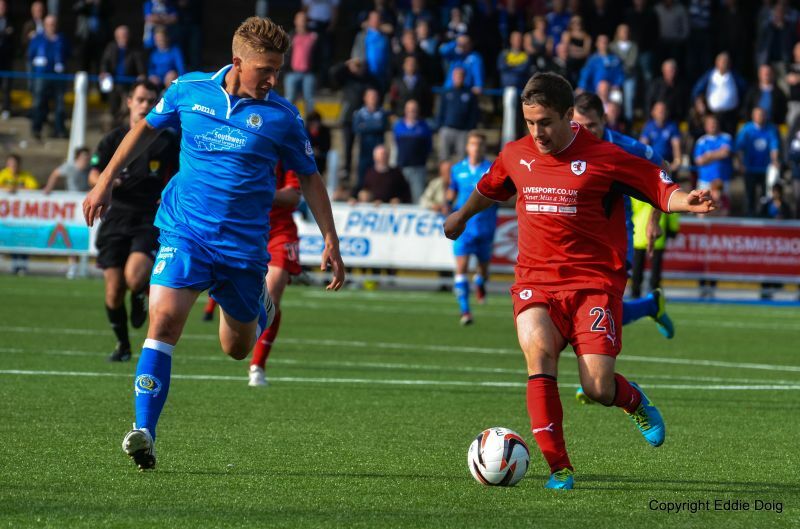 Liam Fox drives the ball into QOS half. Greig Spence stopped in his tracks. Elliot and Dowie go head to head. Grant Anderson fires the ball into the Queens box. Jason Thomson keeps on his toes. Liam Fox prepares to cross. "but I get up again"
Lewis Vaughan prepares to shoot. Calum Elliot showing great close control.